VANCOUVER — Owning a business and being a mother are two trying jobs. When one tries to juggle both at the same time, stress is sure to come. 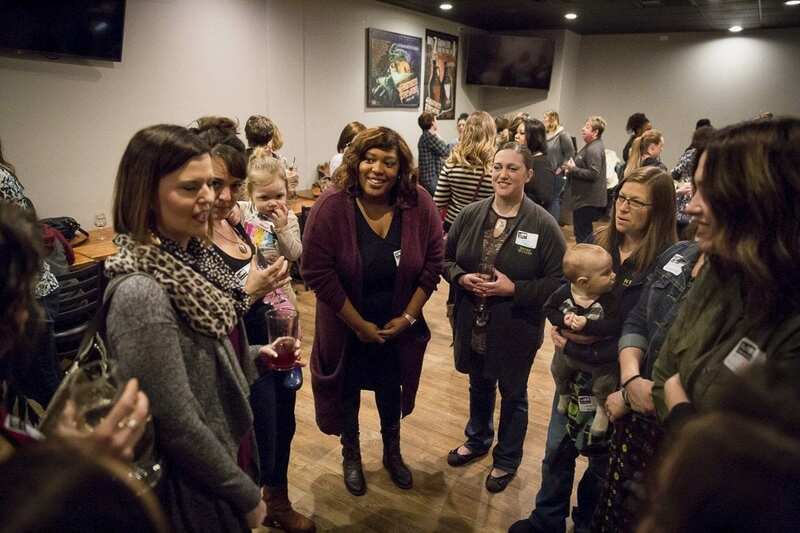 To help mothers who own their own business, the MOB NW offers all encompassing support for personal and professional growth in a relationship based organization. Aria Leighty, founder and president of the MOB, which stands for Mommy Owned Businesses, said that the group is a business alliance for mothers that own businesses. It began in 2012 as a free Facebook group for mothers, which now has almost 7,000 members. In 2015, the organization launched the MOB Alliance, which is a paid membership that offers increased services and support to members. Leighty said that the MOB began in 2012 and grew from her own circumstances and experience. At the time, she was a single mother who had recently opened her first brick and mortar establishment. She explained that she felt lost and that there was no one who understood her stress and situation of being a mother and business owner simultaneously. Leighty started the Facebook group to connect with women in similar situations as hers, and provide mutual support. The MOB Alliance is designed to offer support to business owning mothers through providing education to members. Leighty said that the group offers weekly webinars from a variety of different experts on a variety of different topics, such as bookkeeping and branding. The MOB also offers emotional support to its members, Leighty said. Everyone is a both a business owner and a member, so they all have shared similar experiences and can relate to problems others are having. It provides a safe space to vent, Leighty explained. 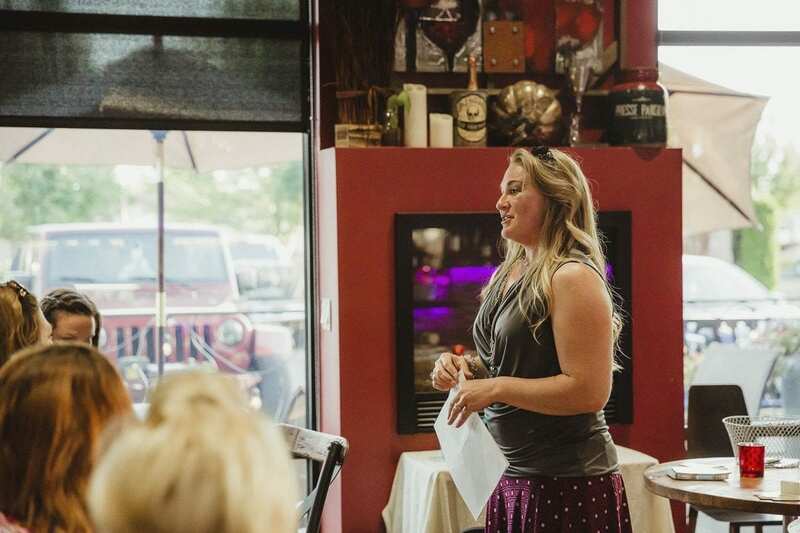 In addition to the support and information shared in webinars and between members, the MOB NW also sponsors quarterly conferences that offer business information and motivational speakers, Lenahan said. The MOB NW is divided up into chapters, with seven chapters currently spread throughout Oregon and Southwest Washington. Each chapter hosts a monthly meetup, Lenahan said, which is another opportunity to network, learn and support each other. Lenahan said that one of the goals of the group is to ensure that the monthly meetings are comfortable for everyone. They have a structure which helps avoid feeling uncomfortable, and MOB members make sure to signal that they are all on the same team. “MOB culture is about welcoming everybody,” Lenahan said. It is not a competitive environment, and members are encouraged to come as they are, according to Leighty. One of the problems Leighty found with networking and business information events before founding the MOB was that kids were not allowed at the events, and that by having to appear “polished and perfect,” she was unable to get to know her colleagues on a personal level. Lenahan said that all of the MOB’s meetings are child friendly, and are therefore designed to help mothers actually attend the meetings. Additionally, building relationships to get to know other mothers that own businesses is a key component of the MOB NW. Approximately 250 women are part of the MOB Alliance, the paid membership portion of the group. Leighty said that people in the Alliance are not only investing in their business but also in the MOB community as a whole. According to Leighty, the feedback from MOB members has been overwhelmingly positive and supportive of the efforts of the organization. The growth of the group has come in part from the enthusiasm of the members, Leighty explained. All of the chapters have grown organically from the efforts and testimony of existing members. Leighty said that overall the group has grown relatively slowly because they wanted to ensure that members were taken care of, rather than simply trying to increase membership numbers. Last summer, the MOB spread into North Clark County with the opening of its North County chapter, led by Lenahan. Unlike most chapters of the MOB, the North County chapter is unique because it encompasses several cities, which Lenahan said has posed a challenge trying to work with and connect different networks and personalities in the cities. Until last summer, MOB members from Clark County were limited to meeting with the Vancouver chapter, and as the group grew it became apparent that there was demand from other parts of the county to have a chapter closer to home. The MOB is made up of mothers that own a wide variety of businesses. Leighty said that there are members that range from owners of small Etsy shops and start ups to lawyers, coffee shop owners, nutritionists, insurance agents and realtors. The wide base of support for the organization has resulted in growth outside of the northwest as well. Later in March two chapters will open in Nevada. In April a chapter will launch in Hawaii and in May, two chapters are slated to open in California, Leighty said. To help spread the word and provide information about the MOB NW and some of its member businesses, the group is planning a Sip and Shop event at Heathen Brewing Feral Public House on Sat., Mar. 11 from 6 to 8 p.m. The event will showcase several businesses and allow the public and other members to learn more about the MOB. To learn more about the MOB NW, and to find a searchable directory of member businesses, visit the organization’s website at https://www.themobnation.com/.